This winner of the Luxury Travel Guide's 2016 Global Awards also boasts a AA 5 Red Star Award so you know you're in good hands! The streets of Mayfair have long exhibited a sense of allure & exclusivity. Your hotel is right in the heart of this iconic city, from its sought after location in Mayfair you are within walking distance of decadent restaurants, refined wine bars & world-famous shopping, all of which can be found amongst grand streets in an area that is steeped in sophistication. 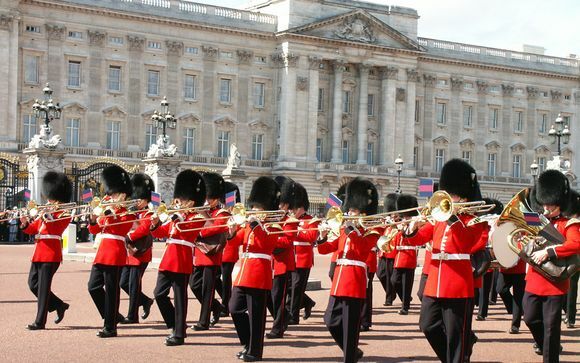 Located on Piccadilly, you'll be within walking distance of many of London's best attractions, including Buckingham Palace and The London Eye - not to mention the array of shops sprinkled throughout Mayfair and Knightsbridge and the West End's theatres. London's vociferous mix of grandeur, history, style and culture seems to get more enticing by the year. It charms with leafy Royal parks, free world-class art galleries and frothy ale amid wood-clad pubs; it intrigues with ancient streets and grand architecture, and excites with the neon-lit West End, designer shopping and an innovative dining scene that has become one of the richest in the world. 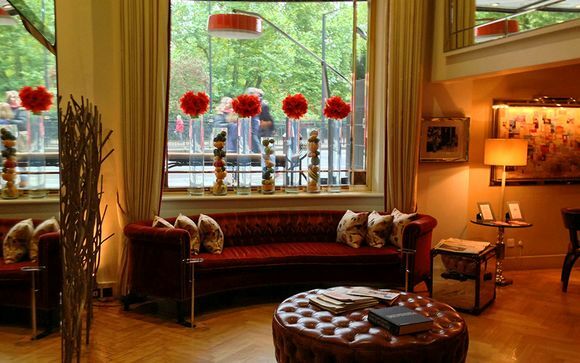 As soon as you enter the Athenaeum, you'll feel right at home. This family-run hotel prides itself on going the extra mile as standard, and the staff here will do everything possible to ensure your stay here is beyond your satisfaction. 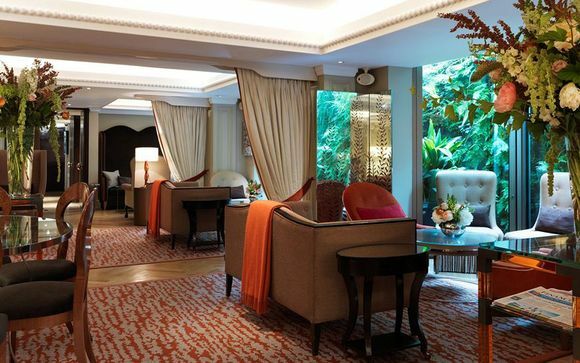 Overlooking the leafy Green Park and the gardens of Buckingham Palace, this stylish and elegant five-star hotel is the ideal base to experience all that London has to offer. Stylish & uniquely decorated these rooms are an example of the bold style that can be found throughout the capital. - Deluxe Room (25m² / max. 3 persons): These elegant rooms feature a bold design which overlooks pretty Victorian townhouses & hidden gems that can be found on Down Street. - Green Park Room (25m² / max. 3 persons): From the moment you enter this room your eyes will be drawn to the floor-to-ceiling windows which provide excellent views across Green Park that you will never tire of, especially knowing that Buckingham Palace lies just beyond that leafy canopy. - Mayfair Suite (38m² / max. 3 persons): This gorgeous suite provides the ultimate in comfort & relaxation: king size four poster swathed in luxury linen, walls adorned with excellent art & a spacious living are which will invite you to sit back & unwind. - One Bedroom Apartment (55m² / max. 3 persons): Experience the lifestyle of London's elite in these carefully designed apartments where each piece of furniture is artwork in its own right. With a kitchen & a spacious living area you can holiday at your own pace! Breakfast, lunch and dinner feature contemporary interpretations of traditional English dishes, and "Best of British" specials are available every day. Afternoon tea is a must-do in Mayfair, and the award-winning selection is served in the hotel daily from 12:30 - 19:00 in the delightful Garden Room. Sample delicious delicacies, leaf tea and pink champagne... simply the perfect way to while away an afternoon. The Bar at The Athenaeum is a destination in its own right. Accessed via a discrete entrance on Down Street, it’s intimate and inviting with elegant bespoke interiors. As well as retaining The Athenaeum’s famous 300 strong whisky collection, The Bar features a fine selection of wine and champagne alongside a range of pioneering craft spirits and Signature Cocktails created by renowned Italian bartender Giancarlo Mancino. Enjoy the amazing new wet area or chill out in the beautiful relaxation room. A new range of bespoke REN treatments, such as a Moroccan Rose Ritual, have been implemented at the spa, and why not de-stress with an Elemis deep tissue massage. 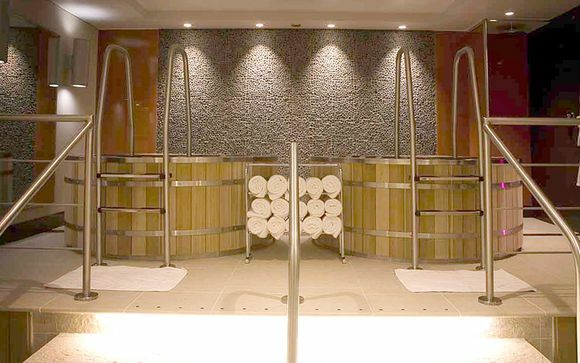 The spa will do its very best to revive and rejuvenate you so that when you leave you'll feel totally spoilt. Your hotel is approximately 5min / 0.3miles from Green Park Station which is on the Victoria, Piccadilly & Jubilee Lines. From this station you will have direct access to Tate Britain & Oxford Street (via the Victoria Line) & The British Museum, Leicester Square & Trafalgar Square (via the Piccadilly Line). This hotel is well within the London Congestion Zone so if you are travelling by car to this hotel between 7am - 6pm Monday - Friday you will be charged a daily fee of £11.50.